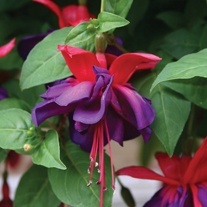 Fuchsia Flower Plants delivered direct by D.T.Brown seeds. 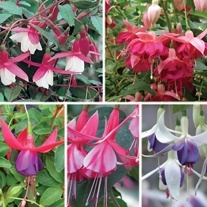 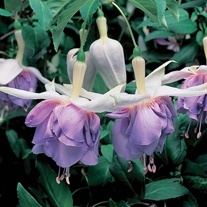 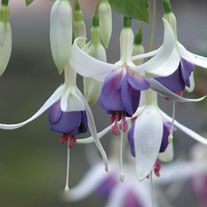 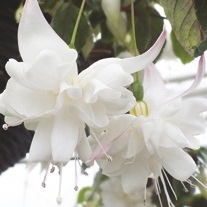 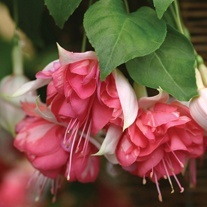 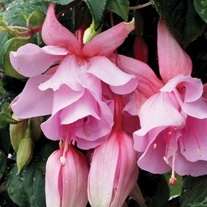 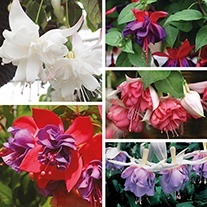 Fuchsias are exceptionally free-flowering plants and are perfect for a whole host of spaces. 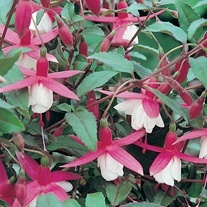 They can be planted in beds, borders and almost every type of container. 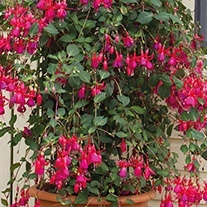 Fuchsias do best when planted in full sun or part shade, with well-drained soil. 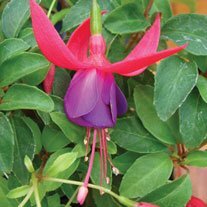 When your plants arrive, you will probably find that the tips of your plants have been pinched out, this is to encourage growth of healthy bushy plants. 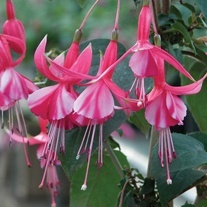 Once planted side shoots will begin to grow out, and for a really bushy plant, take off the tips of these also after two or three pairs of leaves have developed. 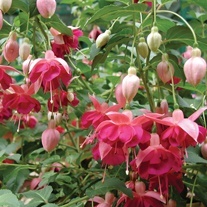 We recommend planting Fuchsias approximately 25-30cm (10-12in) apart.